Complex and smooth Purchased a sample from Master of Malt for £8 after the trying the 17 18 and 19. It's spent 10 years in oak casks and another 6 in French ex cognac. Very good Sipper! Bought a bottle to try as 23 was out of stock. Had for £44 but the 12 is 40 and the 23 48 all from Amazon so good priced aged rums can't go wrong. Powerful yet smooth Purchased a sample of this rum for around £13 from Master of Malt the bottle usually retails fot £175. This rare expression from el dorado is divine. Wonderful rum £36 on Amazon. 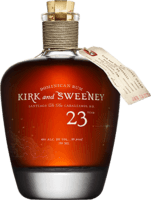 Nice rum ok as sipper very good mixer sweet and mixes well with cola or ginger ale. Good mixer It's nice but not compared to its older cousins. It's fresh and that's ok but there is a little alcohol harshness coming through even while mixed. Nice demerara Fruitier and less sweetened than the 12. Nice very good mixer almost reminds me of a brandy. Nice spiced rum with a punch Mixer rum all day its powerful with a 47% abv but goes very well with cola and ice. Wonderful on a summer nights evening ! Good spiced rum Nice spiced rum, organic too and at £21.99 its a great mixing rum. Spicy, vanilla, ginger and a touch of heat! Spicy firy but amply nice Purchased a sample from Master of Malt for around a £10. Potent cask strength liquid but nose and flavour are palatable in small sips. Cheap mixer rum but it's ok nonetheless Standard supermarket £15 on offer it's worth grabbing as a mixer. Good for the price works as a mixing / cocktail rum Picked up on a lightning deal on Amazon for £17 usually priced at £21. 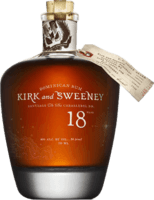 Have tried and rated the Brugal 1888 so was keen to sample others in the range. 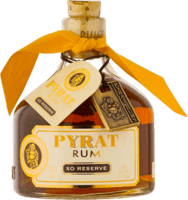 Cheap mixing rum Sampled this gold rum at Cardiff Rum Festival. Similar to the tiki fire with lime and vanilla and a touch of spicy, very sweet. 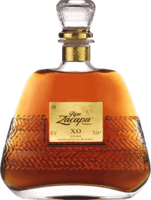 Decent Cachaca / rum Sampled this during a tasting seminar at Cardiff Rum Festival last weekend. It's fresh and light but Cachaca isn't for everyone. Sassafras Cachaça Sampled this cachaça at Rum Festival in Cardiff. Sassafras flavoured cachaça peculiarly unique firy and spicy a good partner for cool ginger ale! Ok but not great It's ok as a mixer rum not a sipper by any means it's your go to cheap rum if you can't get any better. Ok ish but nothing really going for it Reminds me very much of captain Morgan and at £16 a bottle what more can you expect. 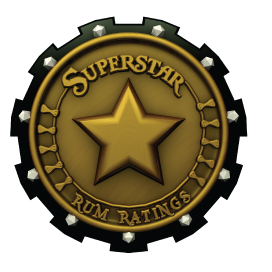 Cheap and nasty Terrible cheap rum always see it at pubs and bars tastes like neat ethanol no other flavour just horrible ! Rubbish By far the worst rum around. I feel offended if someone buys me a bottle not going to lie !